Become a Community Ambassador Today! 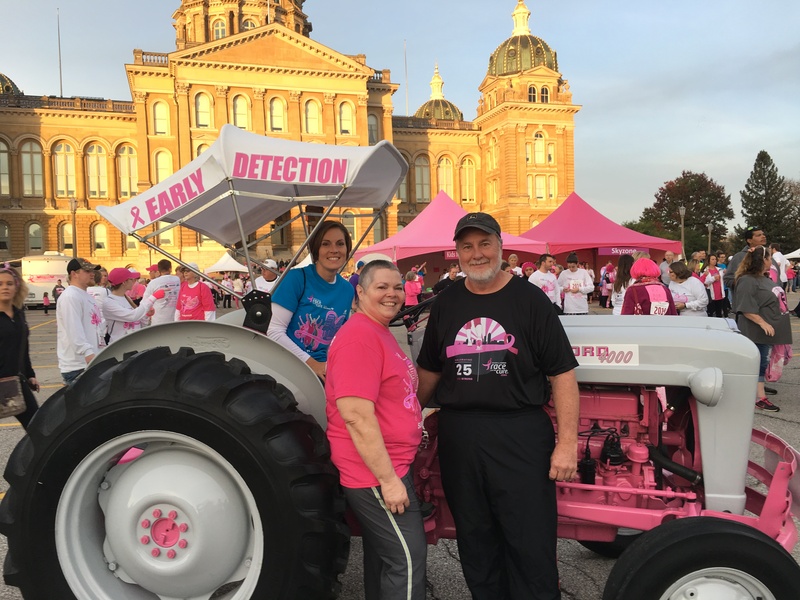 Our Susan G. Komen Greater Iowa board is full of remarkable men and women who are committed to fulfilling our mission and creating change in all of the counties we touch. 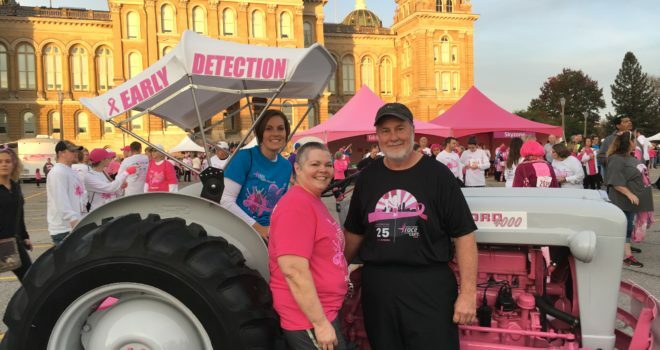 This week’s featured board member is Darcy Johnson, Susan G. Komen Greater Iowa’s current board chair. Darcy lives in Maxwell and is a tremendous resource to our board and SGK team! Get to know her a little more. What is your profession + why do you do it? I’m a Credit Officer at Bankers Trust. I manage our credit approval system – it challenges me and helps me make a contribution to help improve the organization. 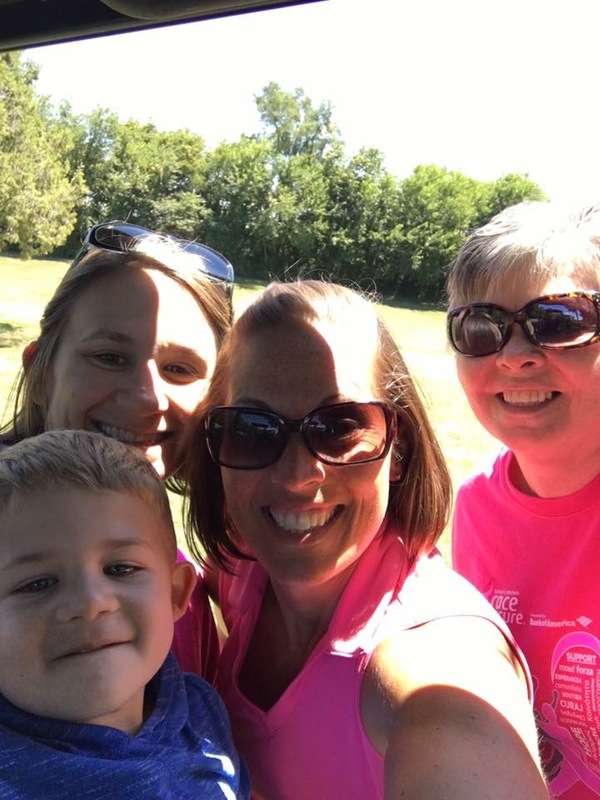 Why did you get involved in Susan G. Komen Greater Iowa’s board? I wanted to make a contribution towards the fight against breast cancer. How have you been affected by breast cancer? My mom and all three of her sisters had breast cancer, with two of the aunts eventually passing away from it. When the second aunt was passing away we decided to get the BRCA test completed. It came back as positive for the BRCA2 mutation. My mom and other surviving aunt were also positive. I, my sister and four other female cousins that have tested are all positive as well. Five of us have had preventive mastectomies but the fifth cousin just recently found out she has breast cancer and is currently receiving treatment. I also have a good friend, mothers of friends and coworkers that have battled breast cancer. 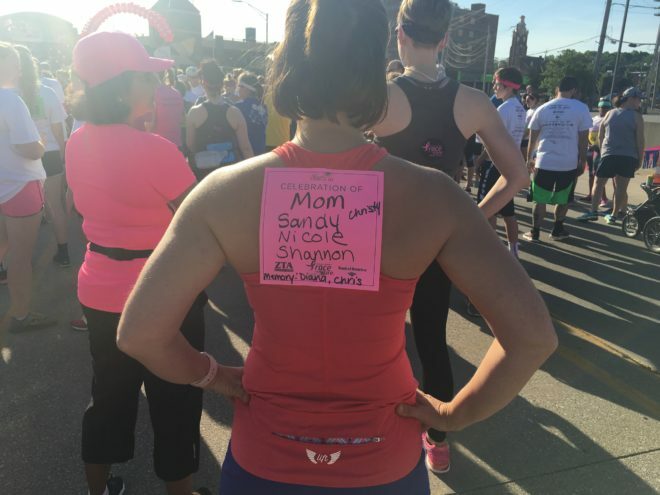 What excites you about the work of Susan G. Komen Greater Iowa? The hope that the research we’re funding is having a direct impact on the lives of women. The knowledge that the funds we raise can help women detect cancer early, thus increasing their chances of survival. Or help them receive the treatment and services they need if they are diagnosed. How can people get involved with the SGK? Reach out to us! We are always looking for volunteers for our events, to serve on our committees and our board.